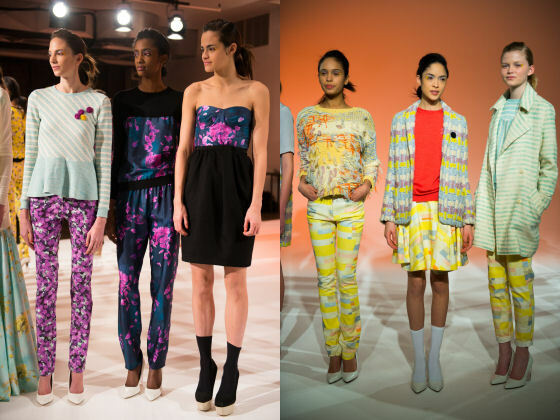 Yellow, pink, blue and peach, an array of pastels filled Calla’s Fall 2013 collection. Calla Haynes, a Toronto-born designer, delivered a bright and whimsical collection, showcasing bold hues, sumptuous textures and vibrant patterns that will surely illuminate the 2013 autumn season. The strengths of the collection stood out in innovative textile treatments, hand-woven sweaters and lively prints that stand out in a sea of emerging designer labels – Alexandra Taylor.